One of the most unique and promising rap-n-b stalwarts of the past couple years, 24hrs enjoyed a steady rise in popularity when he discovered his signature high-pitched auto-tuned sound. Perfecting and refining the luxurious aesthetic that earned him over 700k monthly listeners on Spotify, 24hrs shares Houses On The Hill, his debut album. Executive produced by super-producer Hit-Boy (Jay-Z, Kanye West, Kendrick Lamar) and Ty Dolla $ign, Houses On The Hill is a glistening soundscape, alternating high definition riders’ anthems, ideal for top down cruising, with sensitive bedroom jams. 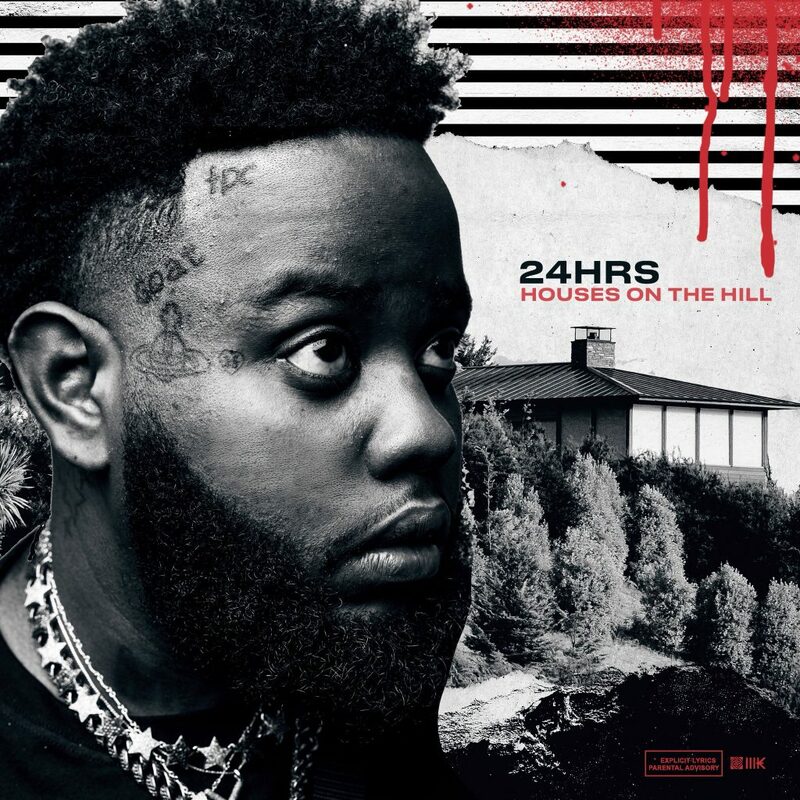 Though 24hrs traces his roots to Atlanta, Houses On The Hill reflects 24’s new life on the West Coast, the perfect complement to the Pacific Ocean breeze and Cali kush. The new album boasts the hot single “Lie Detector,” which features a guest turn from Lil Pump and has over 10.3 million plays on Spotify, as well as the Caribbean-inflected “Met Gala,” featuring PnB Rock, and the cavernous throwback “No Signal,” featuring Roy Wood$. Featuring additional appearances from Ty Dolla $ign, 24’s younger brother MadeInTYO, YG, Smokepurpp, Dom Kennedy, Vic Mensa, and Jay 305, Houses On The Hill is currently available for stream and purchase. Formerly a rapper performing as Royce Rizzy, Robert Davis found a new sound when he accidentally sped up one of his more melodic tracks, revealing a high-pitched and hooky new voice. Adopting the new vocal approaching and shrouding his identity in mystery, 24hrs started to pick up momentum in 2016, earning praise from the likes of Pigeons & Planes and The FADER, and building a huge fanbase on SoundCloud. Since then, 24hrs developed a reputation for bright sonics, flashy lyrics, and endless hooks, winning a massive fan in Ty Dolla $ign and collaborating with the likes of Wiz Khalifa, Rick Ross, Young Thug, Wale, and Machine Gun Kelly, and growing his musical rapport with his brother MadeInTYO.